S Series I/O modules are a value-priced option for Modbus/TCP and Modbus compatible industrial I/O. 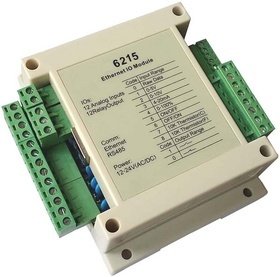 S-Series I/O modules can be used with any system that communicates using Modbus/TCP or Modbus RTU. Each Model SIO-Exxxx module has (1) RJ-45 10/100MB LAN port, and supports 2 wire RS-485 (models SIO-Sxxxx are RS-485 only). No racks or bus couplers are required.